Buenos Aires, Argentina. Euskal Dantzarien Biltzarra (EDB), the federation of Basque dance groups in Euskal Herria, will visit Argentina next week, thanks to its president, Joseba Altube who will give talks in both Buenos Aires and Mar del Plata about “Traditional Basque Dance.” Altube will discuss the panoramic view of traditional dance in Euskal Herria and the variety of groups that perform them. The first talk will take place on Monday, October 29th in Buenos Aires organized by the local Ekin Kultur Taldea, as part of Ekin Dantza Taldea in Buenos Aires, directed by Aitor Alaval. 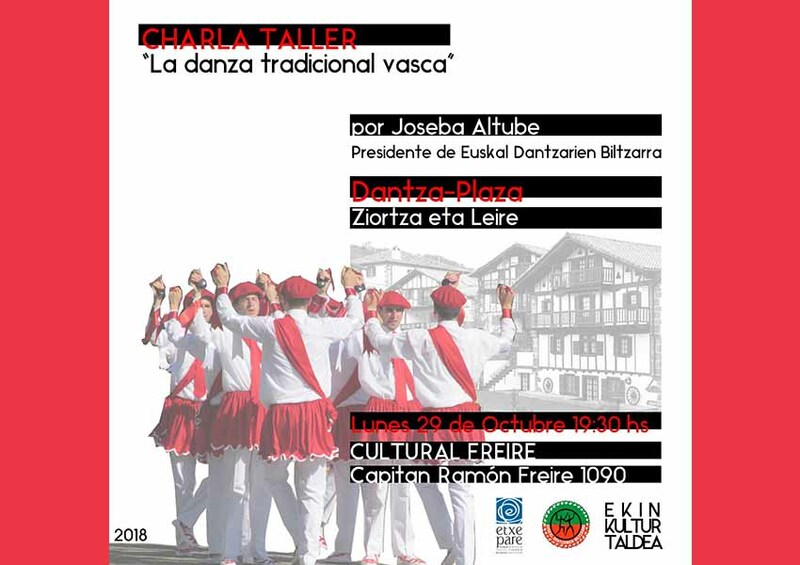 The second talk will take place the day after on the 30th, at the education/cultural institution Euskal Echea in Llavallol, through the Department of Basque Language and Culture where Euskera and dances are taught. Both talks will be complemented with “dantza-plaza” guided by the musical duo “Ziortza eta Leire” who will accompany Altube. Following, the President of the EDB will travel to Mar del Plata where he will have the opportunity to meet with dance group directors who are also attending Semana Nacional Vasca 2018. This initiative is being supported by the Etxepare Basque Institute.